Mr. Callaway encloses a check for $25 as part of his quarterly payment for his annual scholarship he provides. 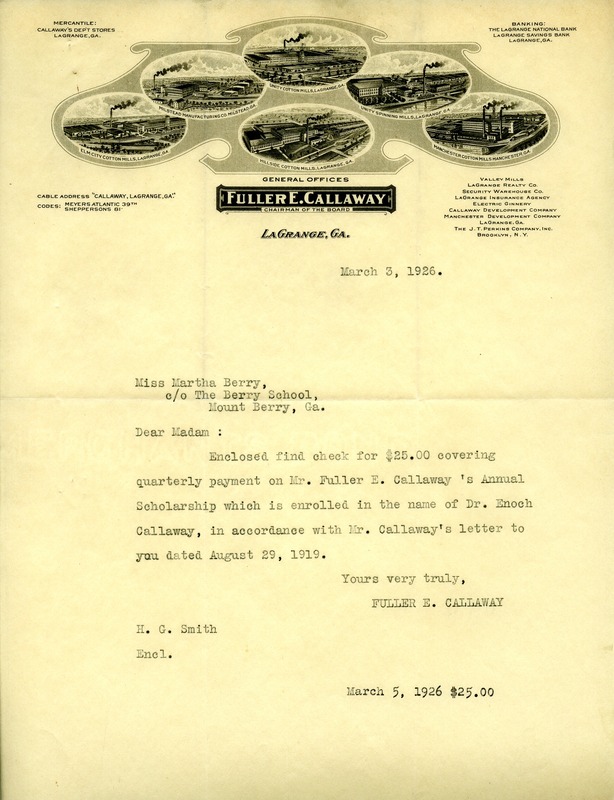 Mr. Fuller E. Callaway, “Letter to Martha Berry from Fuller E. Callaway.” Martha Berry Digital Archive. Eds. Schlitz, Stephanie A., Rachel Renaud, et al. Mount Berry: Berry College, 2011. accessed April 25, 2019, https://mbda.berry.edu/items/show/1065.